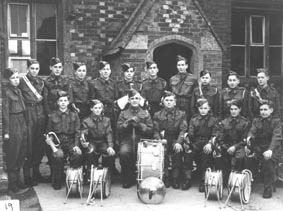 - Army Cadet Band - 1943/44 - (BS0200) Army Cadet Force on a Church Parade. The shed immediately left of the 3 Horseshoes is where pupils bikes were stored. 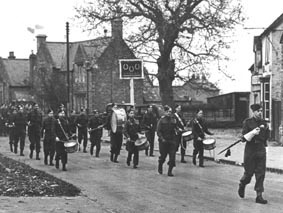 The large building in the far distance between the pub and the school is Thames Villa on Littleworth Road. 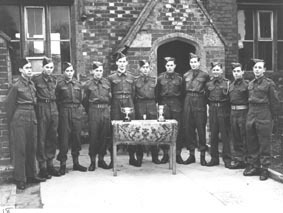 - Army Cadet Group with Trophies - 1943/44 - (BS0201) Army Cadet Force. Silver cups for .22 rifle shooting on range. Members came from Benson & Watlington. Photo in front of Headmasters classroom of Benson CofE Primary School.